Muktadhara IV, Jana Sanskriti‟s 4th Forum Theatre Festival. Please check back for dates of ImaginAction’s participation. 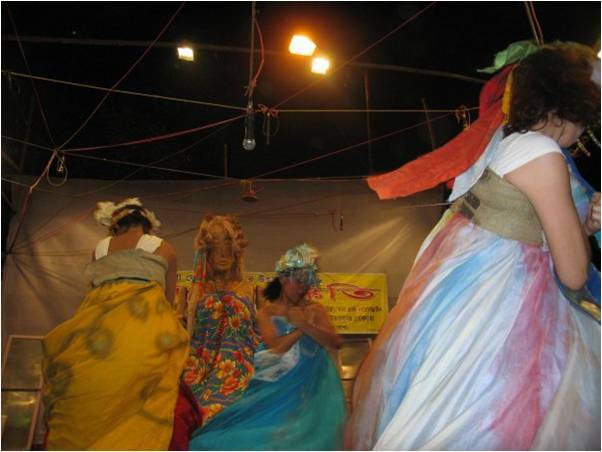 Jana Sanskriti is the first theatre organisation to practice Theatre of the Oppressed in India. 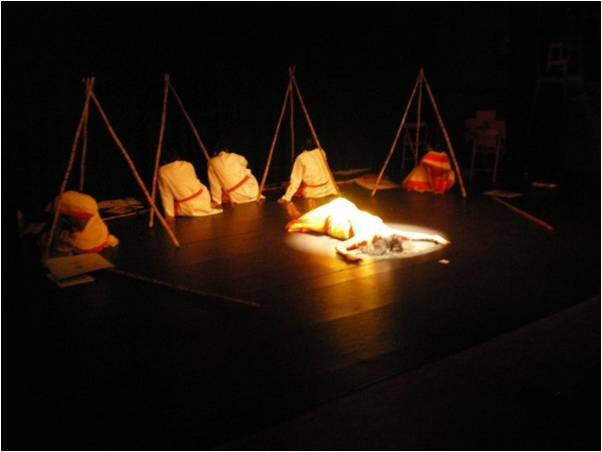 Since 1992 -the year it abandoned conventional stage theatre –it has spread the practice of Forum Theatre in not only West Bengal but to 12 different states within India. Jana Sanskriti today serves as an inspiration to all those in the world who are keen on bringing about transformation in society through the use of Theatre of the Oppressed. 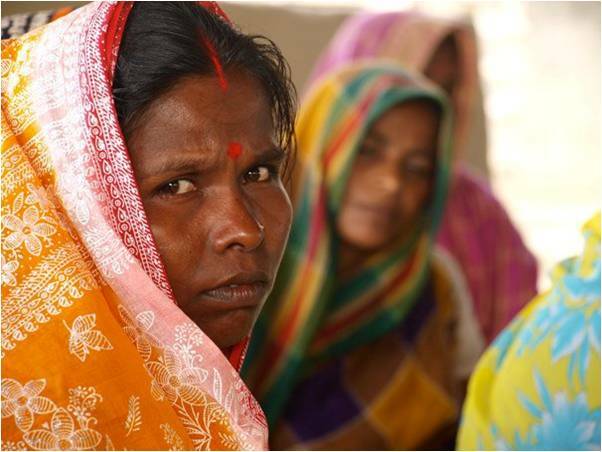 Working for 25 years with those that are amongst the „oppressed of the oppressed‟ in India, Jana Sanskriti holds, that the greatest violation of Human Rights is one’s right to think. To ensure this right, the central focus of the organisation has always been on creating a democratic space for people to cultivate themselves intellectually. Jana Sanskriti believes, that, every individual is an intellectual. Not only great men think but all men think: philosophy exists in the thought of all…only they are not always aware of this truth. 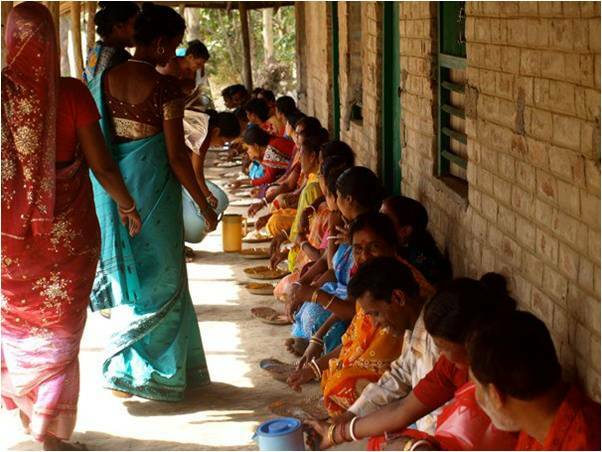 From its inception in one remote village, Jana Sanskriti has now constructed 25 teams(in West Bengal alone) consisting of men and women agricultural laborers. These actors come together transcending divisive social and political affiliations to plan constructive action and provide dynamic leadership for social justice and community development. Their plays onstage and their political activism offstage feed one another to mobilize around issues as wide-ranging as domestic violence to political violence, from reconstruction of public institutions to resistance against aggressive forms of development. The name of Muktadhara IVwhich consists of two words: „Mukta‟and „Dhara‟.The former means „free‟and the later means „flowing water‟. Taken together it is symbolic of man’s journey in freedom. A journey in which there is freedom from dogma, oppression, hatred and all those things that divide man and man. 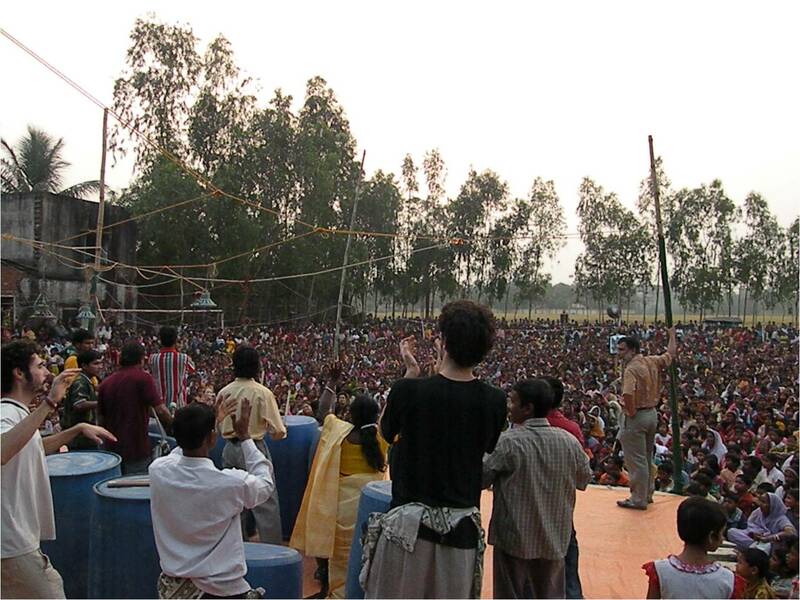 Thus Muktadhara means, to be able come together. It means, to be able to relate and also to be able to unite. This is the 4th Muktadhara festival and it will bring a large number of people from all over the world -participants, practitioners, the global academia as well as lovers of Jana Sanskriti from 6 continents. By way of this festival we will all come together to recognize and celebrate not only the power of theatreas engaged and utilised by the organisation but to also perceive what has been clearly demonstrated by Jana Sanskriti, that, when people can come together things become possible.